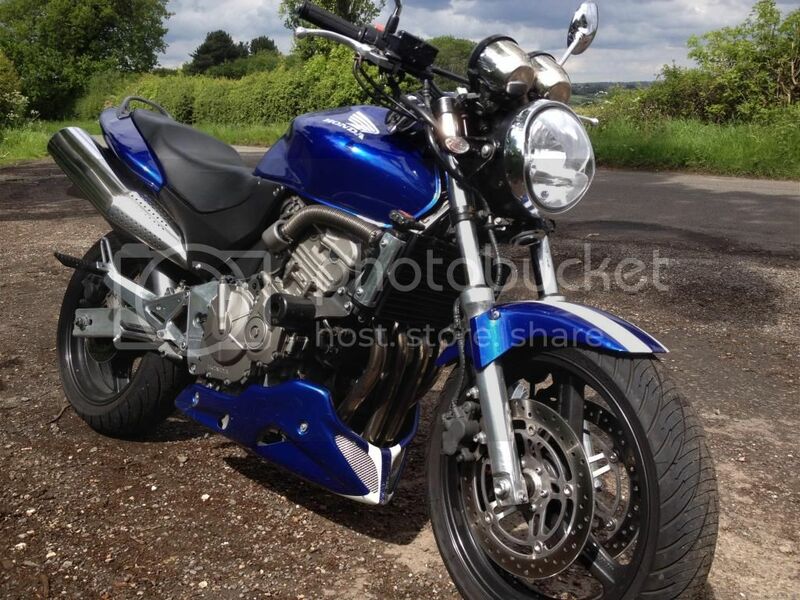 Bought my hornet a few years ago now, from Smiler on here, hoping she still uses the site? Anyway, I've not posted much at all since then! So here is a teeny update (not that much has changed). Still loving the bike, and have convinced my other half to get into bikes now too, and he has a CBF125 at the moment, which he's pootling around on with me. Got some luggage delivered today, ready to head to the TT at the end of next week! Will be my first time going! Anyone else going? Managed to get it all fitted properly in the end - and put some heat protective fabric by the bit over the exhaust. Bike looks like it's ready for an adventure now! 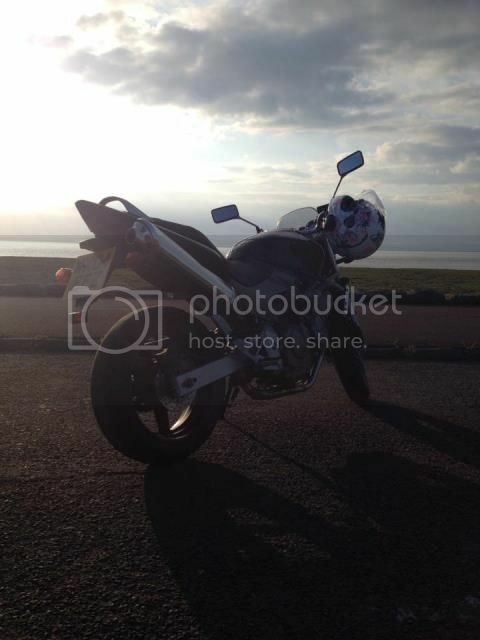 Need to go my other half riding! Just want to know what luggage you have and where you got it from lol, doesn't look too bulky! I also really like the luggage and wouldn't mind a set, looks like one of those photos is down portishead lake ground? Well spotted! Was indeed Portishead. The luggage is the oxford first time panniers. 48 litres. Just about right for me and my other half to chuck in rain suits a change of clothes and some shoes! I ordered it from amazon from a seller called "motorbike monster". Nice and quick delivery. So far they have held up well! 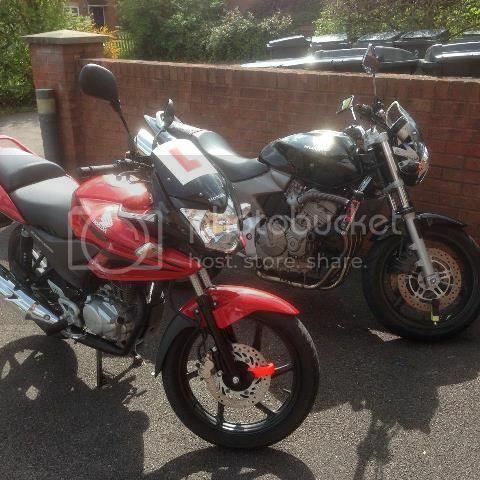 Ive been looking at those panniers. Do they not cook on the end can? I wrap a heatproof mat between the pannier and the exhaust to try and stop that happening. So far, so good! Anyone know this beautiful location? Nice pics. The TT is one of the few places I haven't made it on a bike so far. My 919 has seen so many countries and yet hasn't made it just to IOM so far. Odd thought. 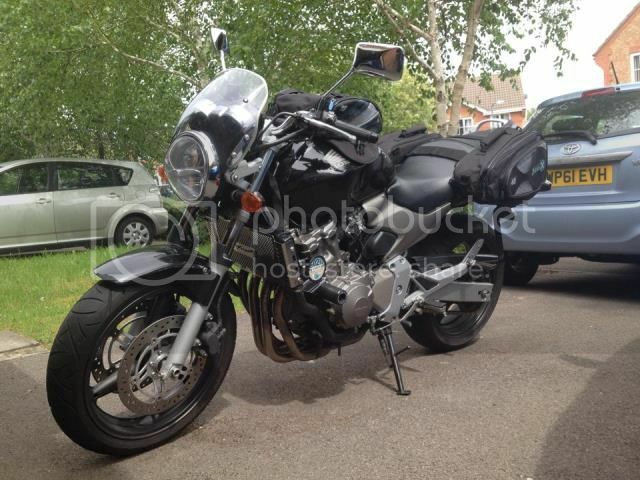 For those looking for luggage for their Hornet though, I'd suggest looking at Kriega. 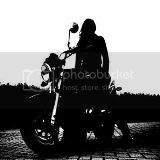 I've used in on ZX6R's, VFR's, CBR's, Daytona's and of course Hornets. Waterproof, tidy, easy to use and very very durable. It also takes care of those pesky cans by being away from them all together. Highly recommended. I had a great time, and definitely want to go again! 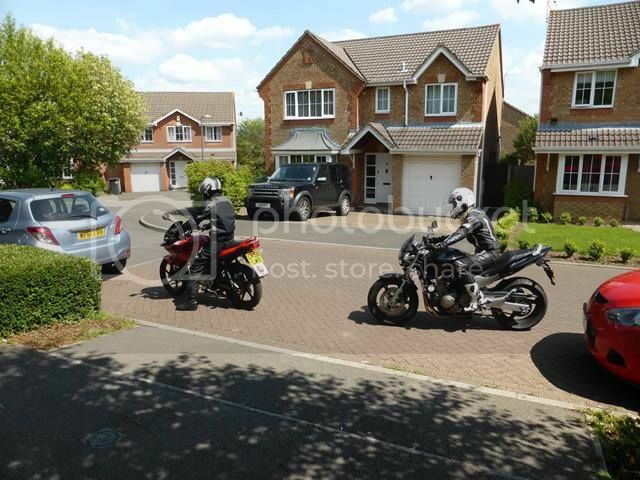 So does my other half - he spent the whole week saying "I'll be on my own big bike next year!" wants to book his test as soon as possible now I think! 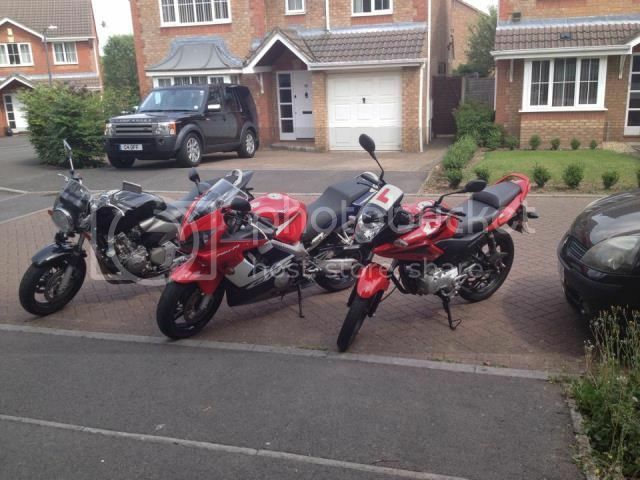 Is the kriega one you use a tailpack? 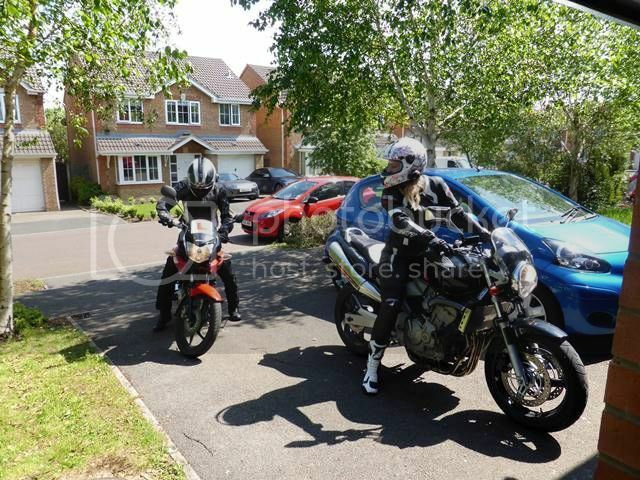 I had a pillion so couldn't use a tailpack. But would definitely consider it if I didn't have to take my other half on the back! The Hornet was great around all aspects of the circuit - saw an indicated 130mph along the Mountain Mile but that was the only place it felt lacking in puff - loved every minute of riding it over there - in fact I love riding it everywhere! Skip - it would have been rude *not* to take the bike through to get that photo! haha I found the Hornet great on the island too! Only downside I found was the motorway journey there, and home was a bit on the blustery side. A friend I traveled with kept telling me it's because I need a bike with fairing.. So I accidentally bought a CBR600f when I got home. Just to compare the difference! 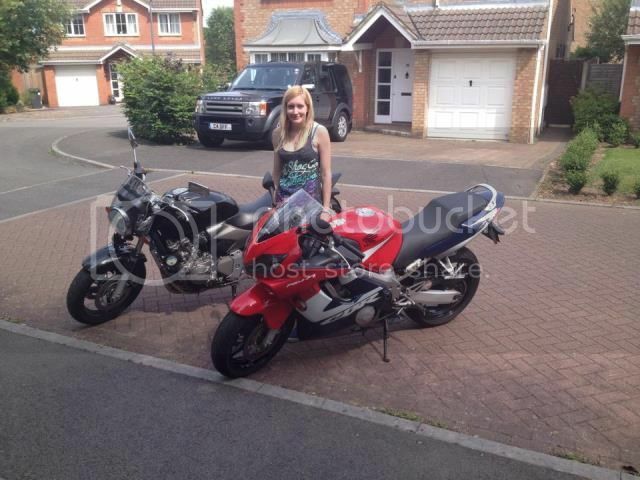 Unfortunately now though, I like both bikes, and I'm not sure I'll be able to bring myself to sell the Hornet just yet! 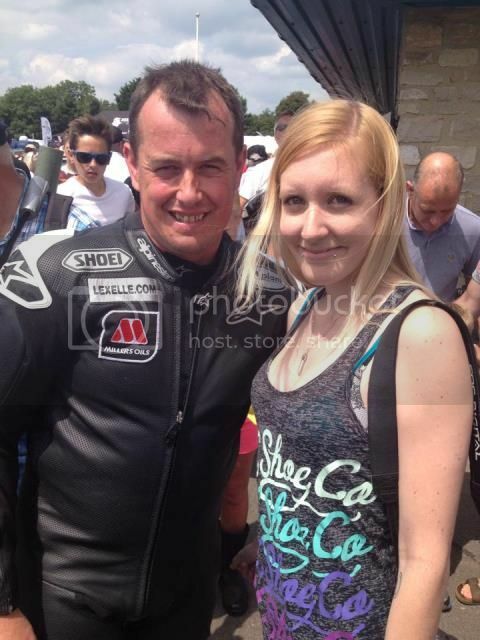 Also, had the pleasure of meeting John McGuinness on Sunday - he is such a lovely guy!